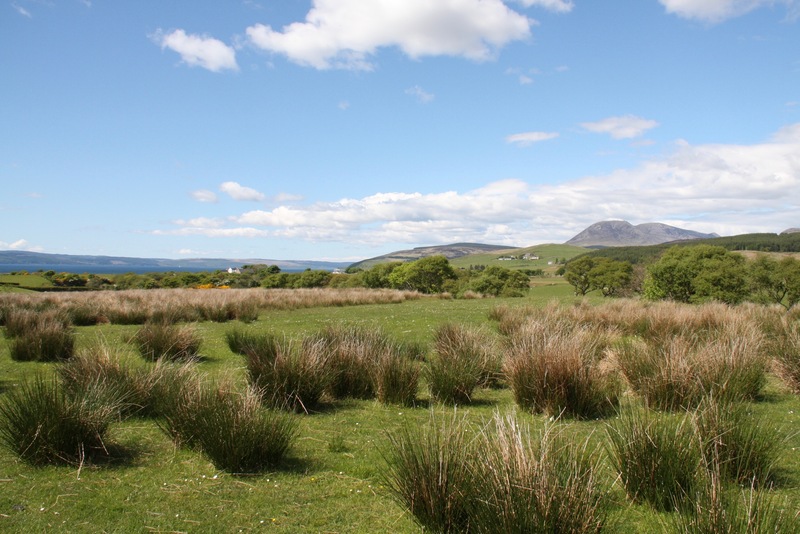 The Isle of Arran is often described as ‘Scotland in miniature’. 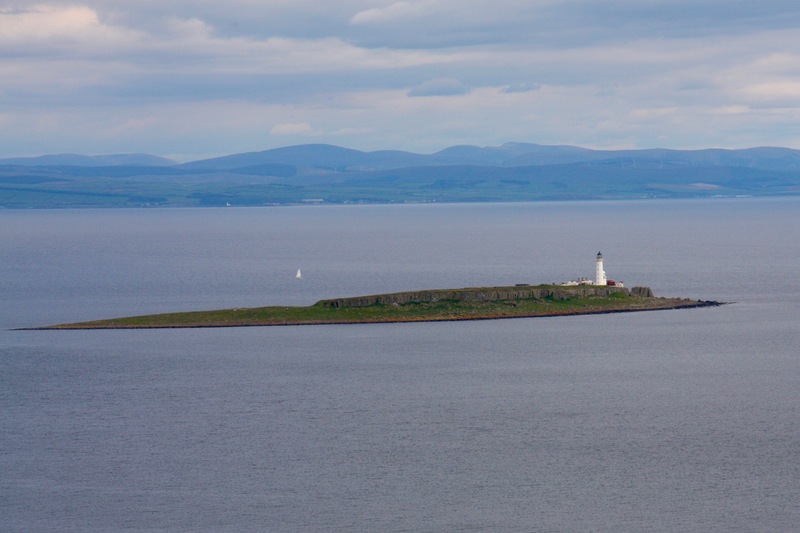 This is thanks to the fact that the island seems to mirror the geographic division between the Lowlands and Highlands of mainland Scotland. 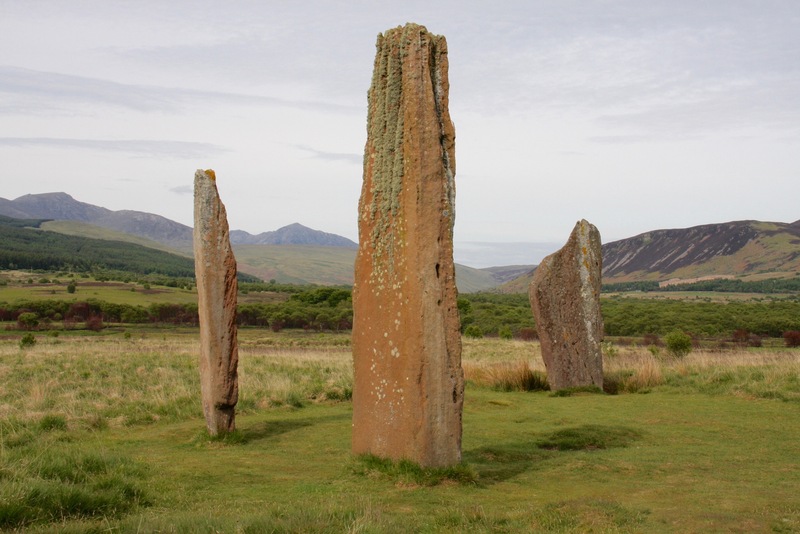 Arran’s north is rugged and mountainous with a harsher climate; the south softer, more temperate and hospitable. 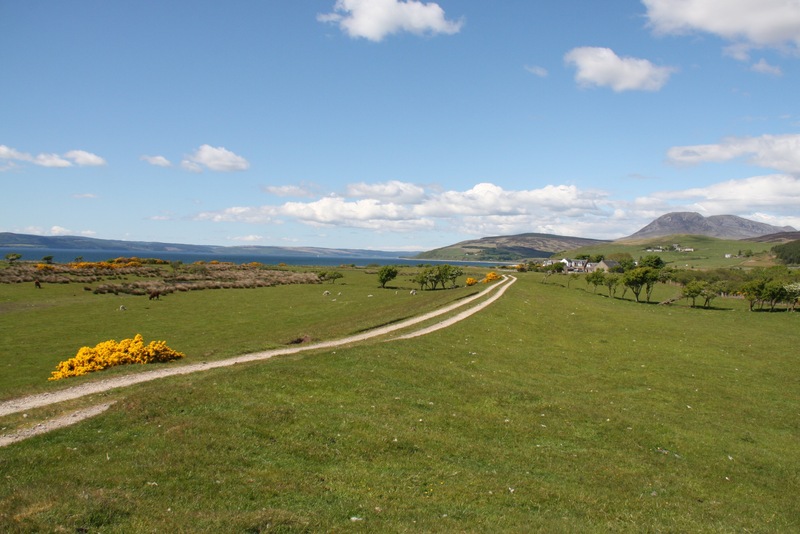 No surprise then that the majority of Arran’s 4,600 inhabitants live in the southern half of the island. 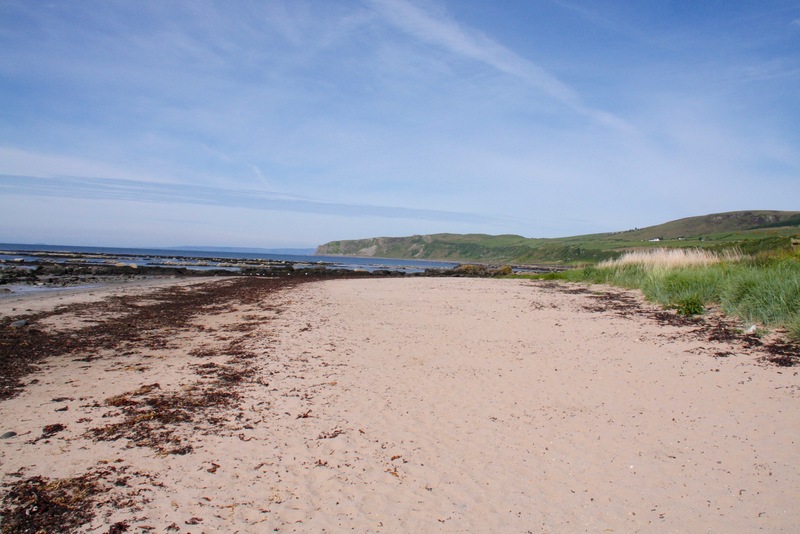 We woke early in the village of Kildonan and went for a reviving stroll along the beach. 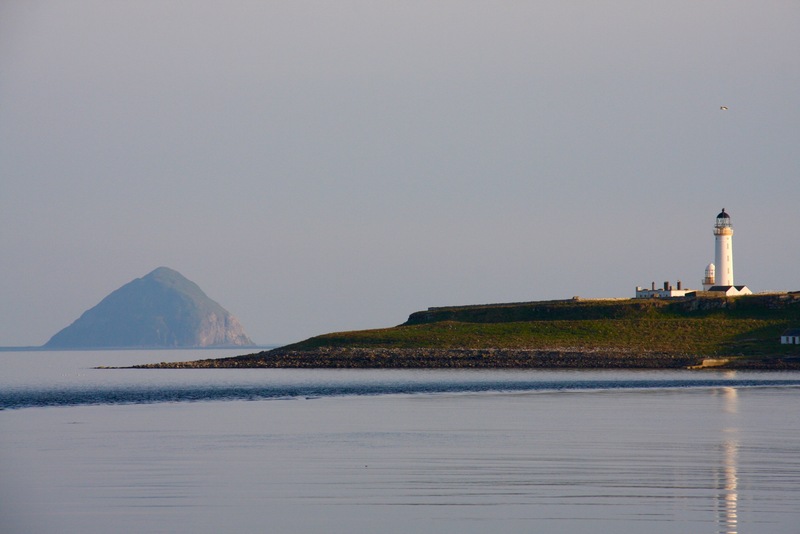 The early morning light illuminated the beautiful views over the Firth of Clyde to two small islands off the coast, Pladda and Ailsa Craig. We spotted a couple of seals in the shallows, and there was a lot of birdlife. 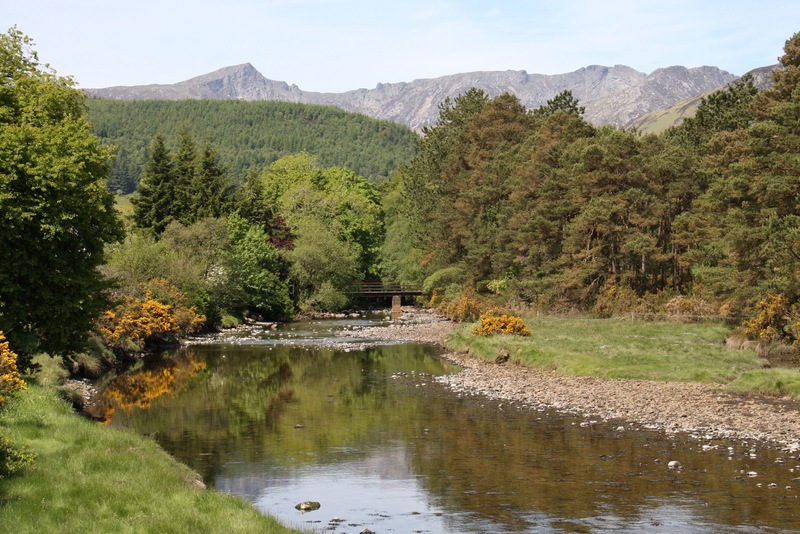 After a leisurely breakfast we took to the road again and slowly made our way towards Brodick. 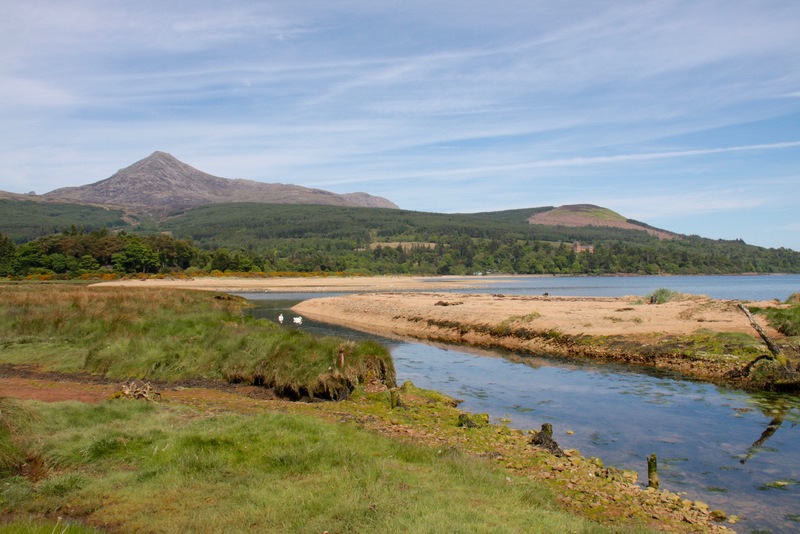 Although not Arran’s largest village, and certainly not its most attractive, Brodick seems to be the island’s de facto capital. 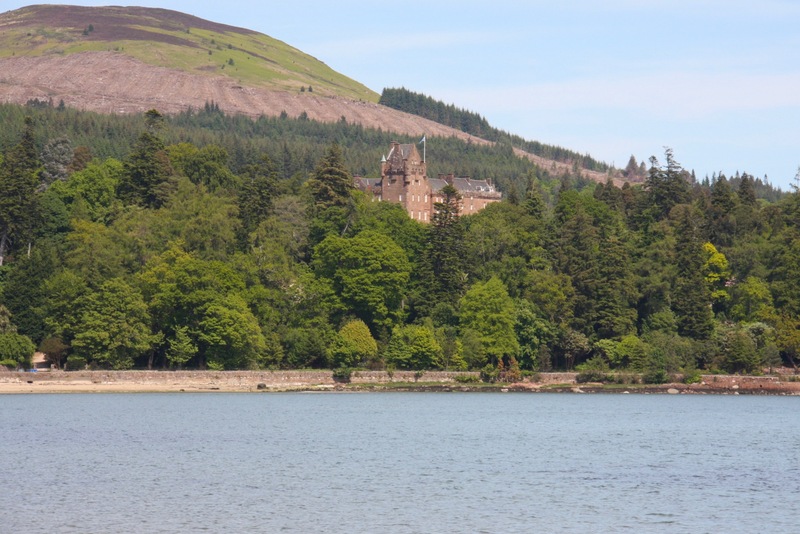 It has the ferry terminal that connects to the mainland, has the island’s only tourist information office and is home to the beautiful Brodick Castle. 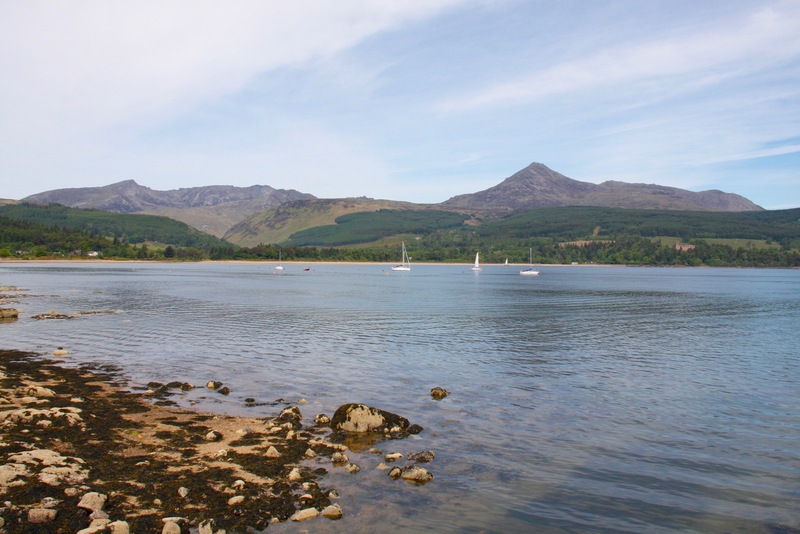 Impressive credentials but, much more importantly, Brodick has a fish and chip shop – the true mark of a capital ‘city’. 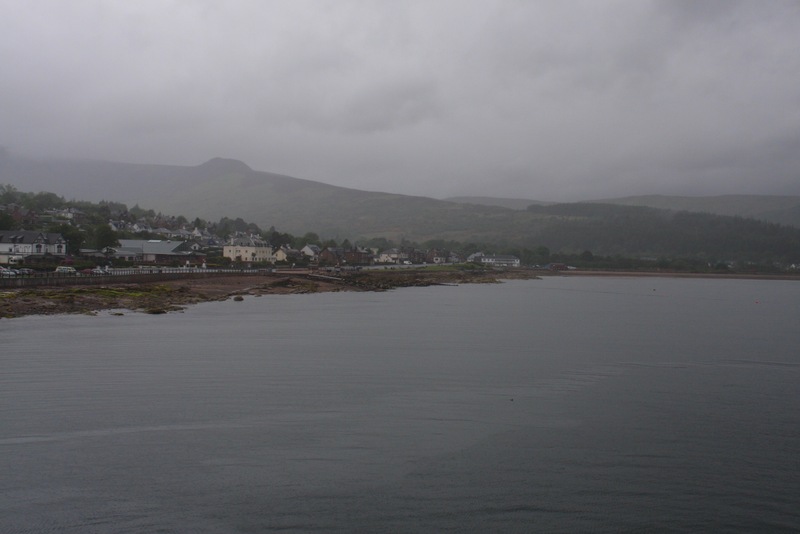 We found a B&B and went for a walk around the wide arc of Brodick Bay to visit the castle. 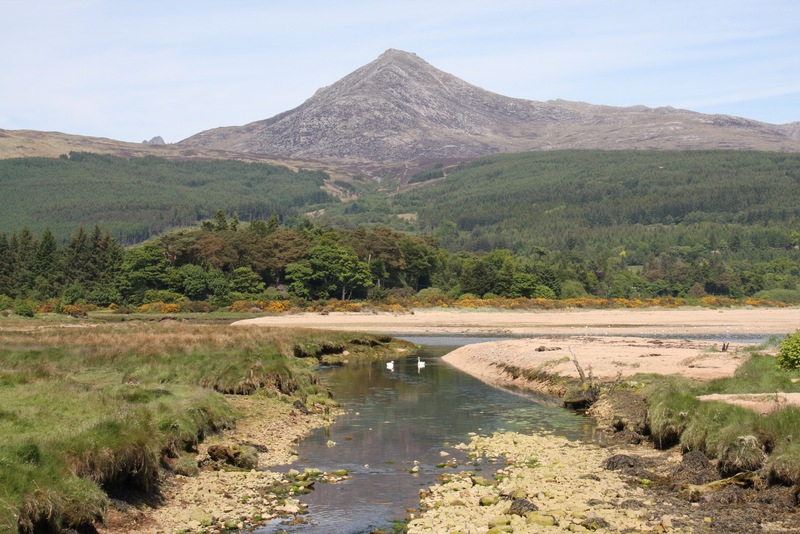 The blue waters and sandy beach are impressively framed by the mountains of the interior – most notably Goatfell, Arran’s highest peak at 874m (2868ft). 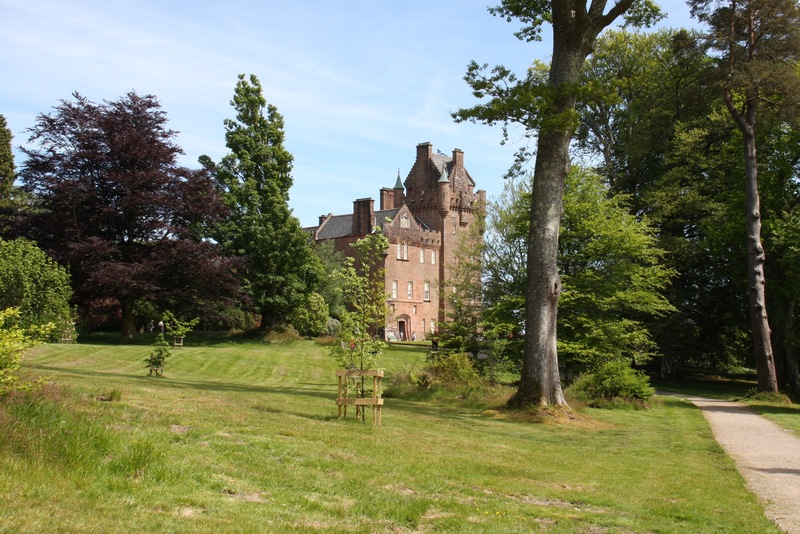 Owned by the National Trust for Scotland, Brodick Castle was the ancestral seat of the Dukes of Hamilton, the most senior peerage in Scotland after the Dukedom of Rothesay – which is owned by Prince Charles, the Queen’s eldest son. The current building dates from 1844, but there has been a castle on this strategically important spot since the early 13th century. The castle is currently being refurbished, earmarked to reopen in 2018, but the gardens are worth a visit in their own right. We had a wander around and then made our way back along the coast to the village. 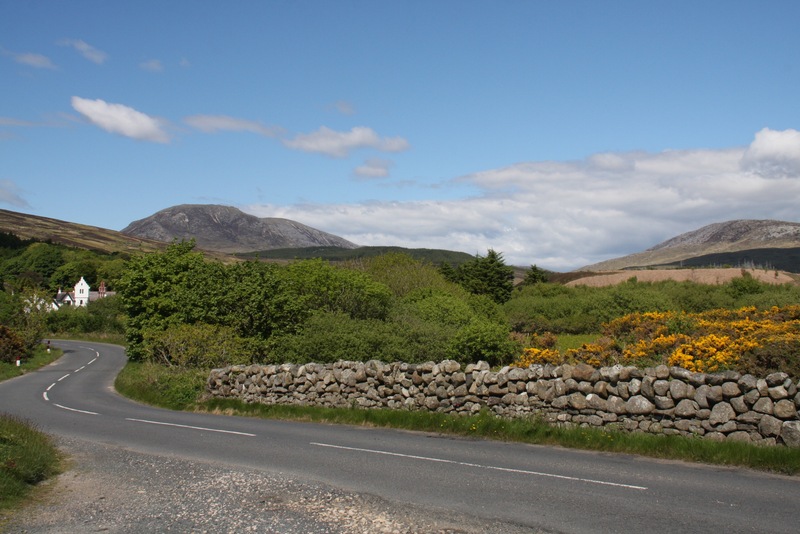 On a whim we decided to drive the route across the centre of the island, on a road known as The String which offers beautiful views. 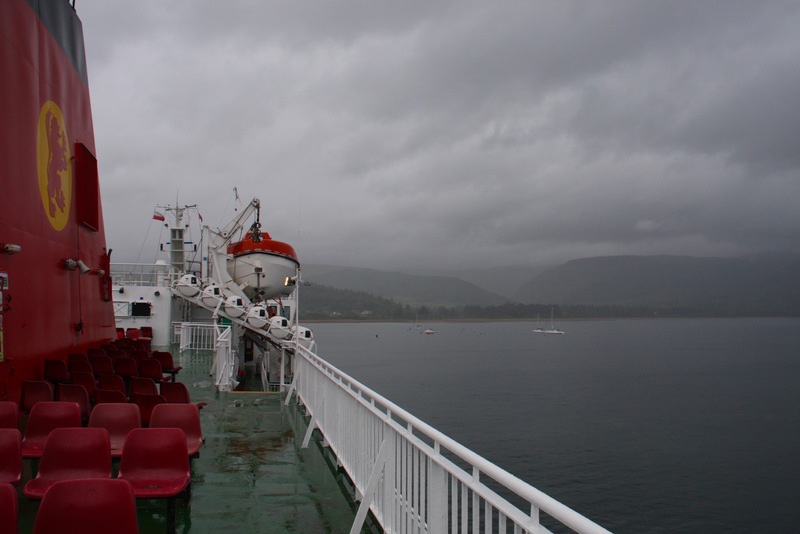 The next day we dragged ourselves out of bed early for breakfast and the ferry linking Brodick with Ardrossan Harbour on the mainland. The weather can change in the blink of an eye in this part of the world, and the contrast between the sun and blue skies we’d been enjoying for the last few days couldn’t have been more stark. 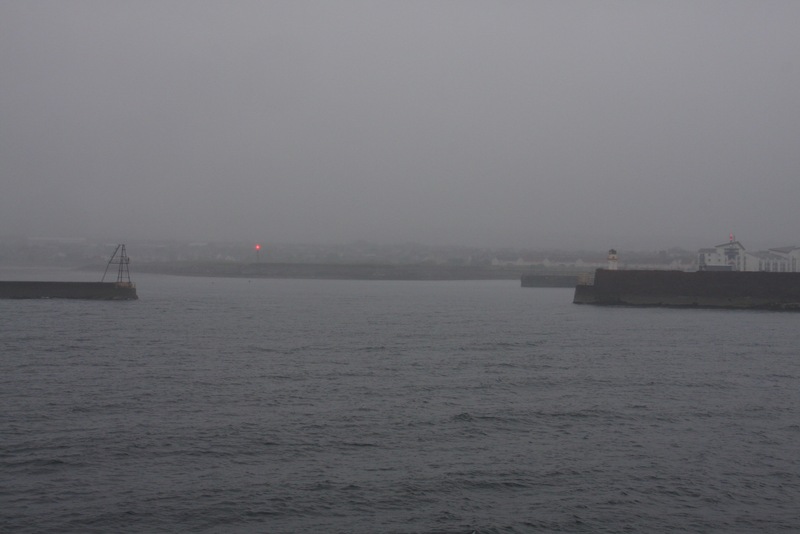 As we set off past ships moored in the harbour, it was raining hard. 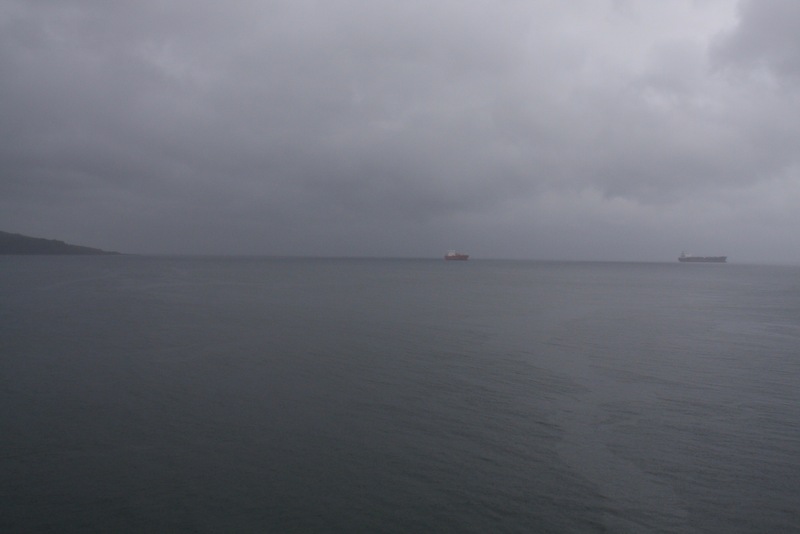 The world seemed drained of of light and colour. 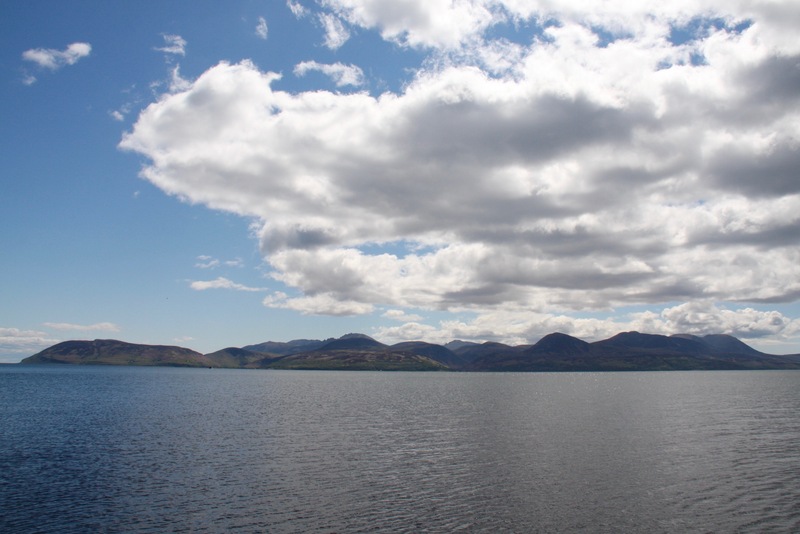 The view of the Isle of Arran from the tiny ferry terminal at Claonaig on the Kintyre Peninsula is nothing short of spectacular. 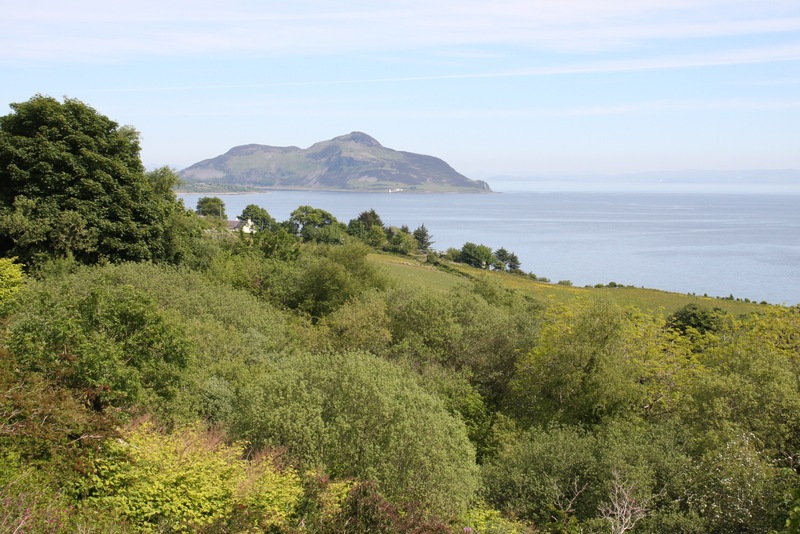 Jagged layers of green-purple mountains dominate the north of the island, seemingly rearing straight up out of the Firth of Clyde. 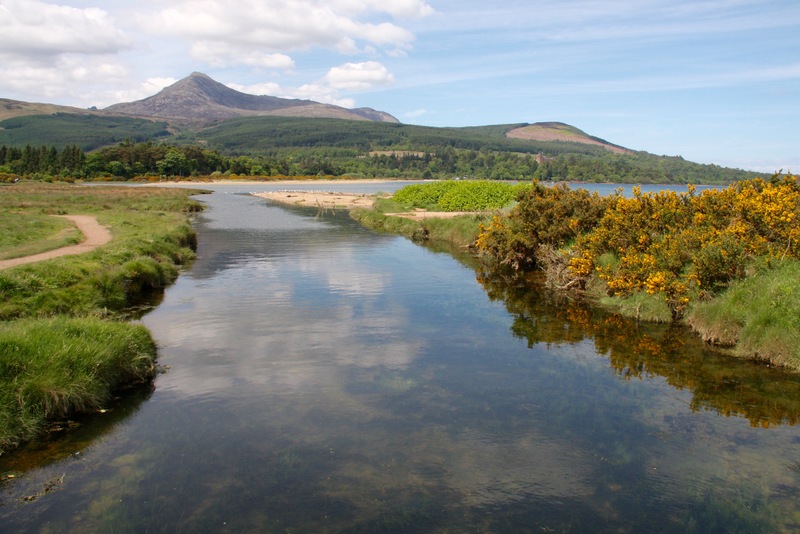 Looking east across the sparkling waters offers a dramatic perspective on the wild beauty of Arran’s landscapes. 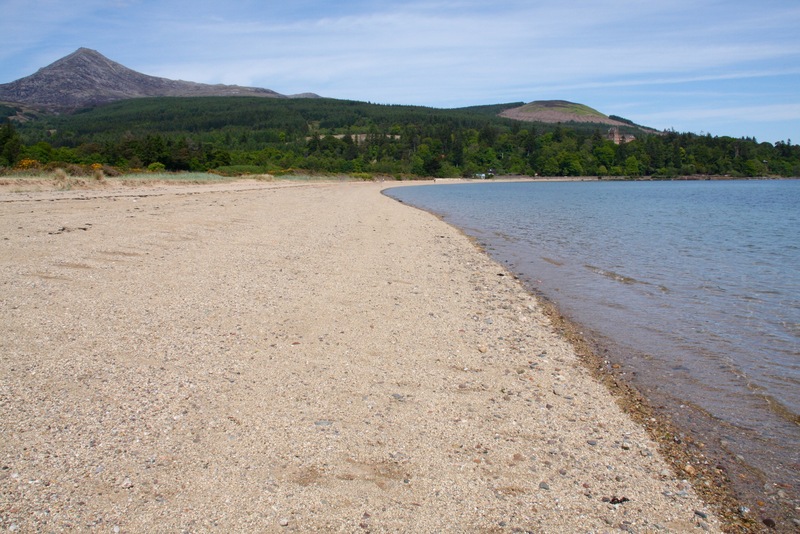 From Claonaig it’s a thirty-minute ferry journey across to Lochranza on the northern coast of Arran, and we sat on a small white sand beach and watched the ferry make its way across the water towards us. 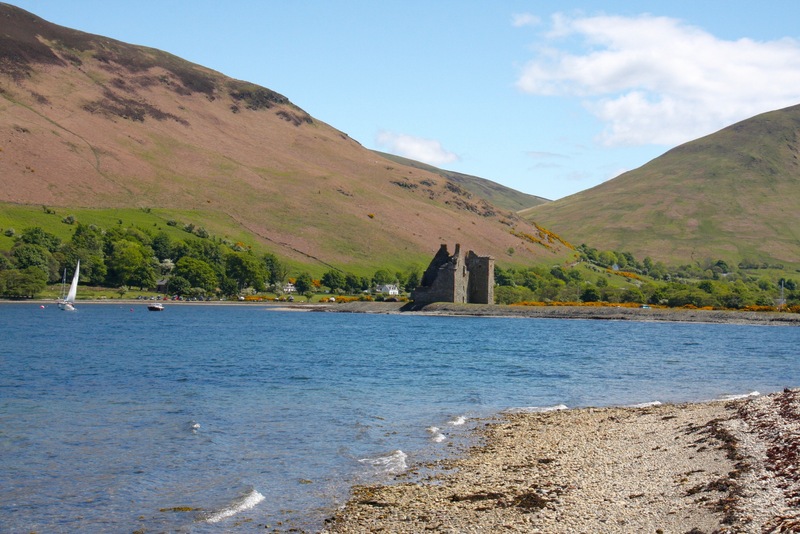 As you approach, the bay at Lochranza opens up to reveal a small village, and a ruined but picturesque castle nestling underneath a ring of hulking mountains. 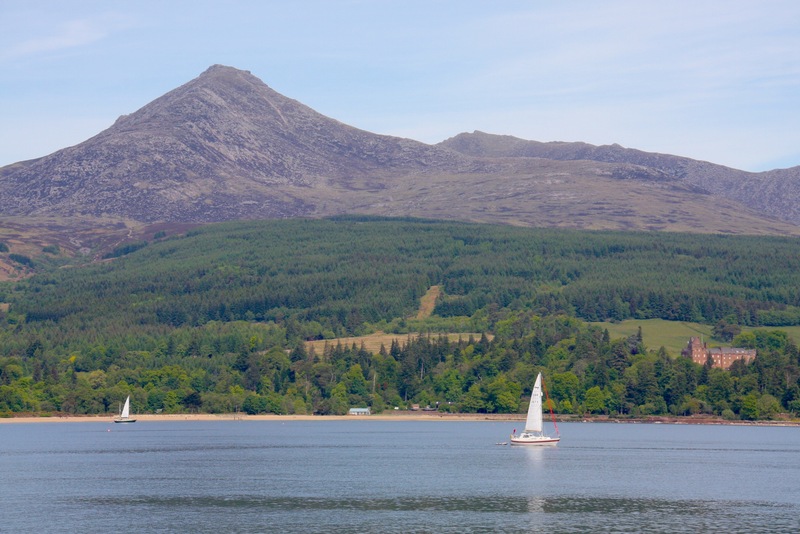 It’s one of the iconic sights of Arran and a great introduction to the island. 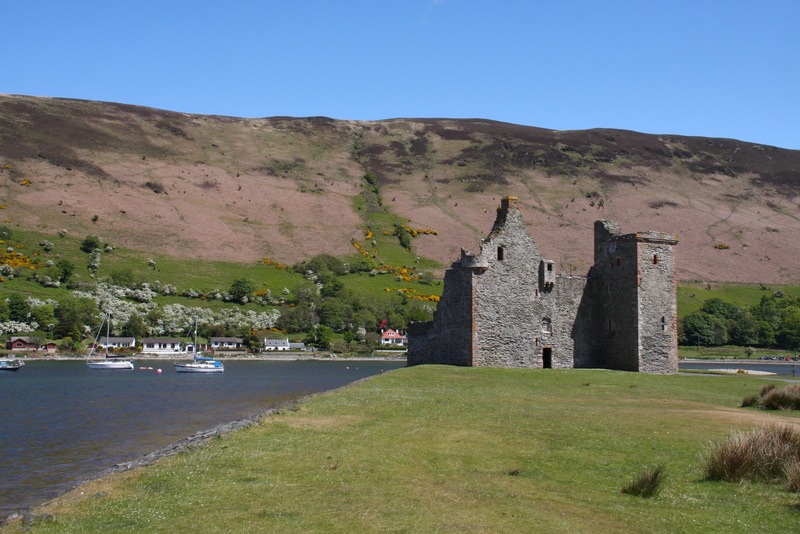 Lochranza Castle dates from the 13th century and has many famous associations. 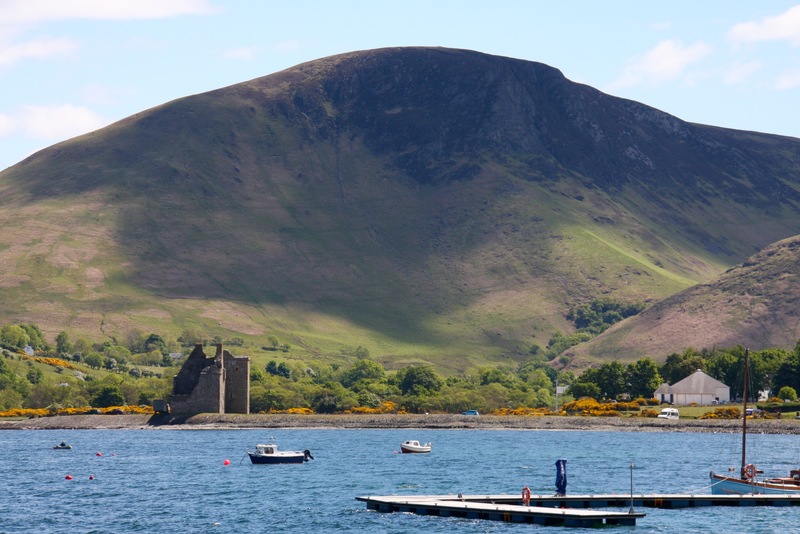 It’s claimed that this is where Robert the Bruce landed when he returned from exile in Ireland to seize the Scottish throne in 1307. A few years later he would reestablish an independent Scottish kingdom and the castle would become a royal hunting lodge. More contentiously, the castle is said to be the inspiration for the castle in the TinTin adventure, The Black Island. 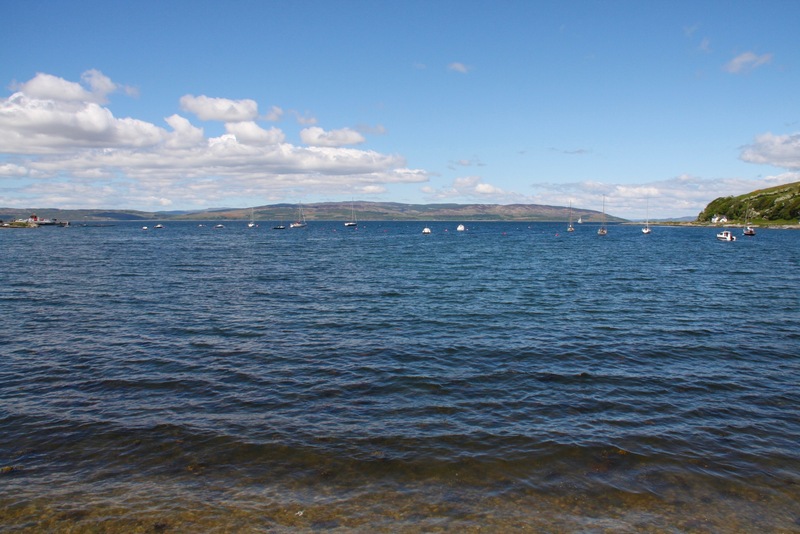 Sitting on a spit of land on the edge of the water, it’s certainly a location worthy of such associations. 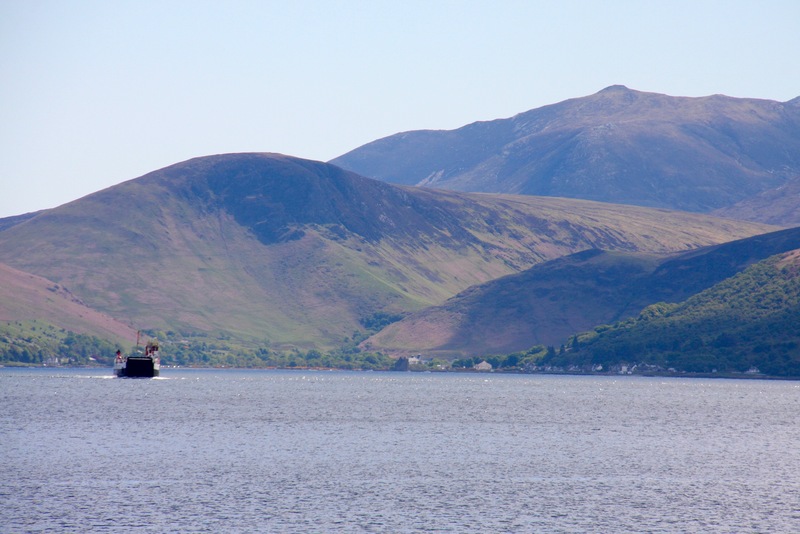 We had a walk around the village but didn’t have time to take a tour and do a tasting at the Isle of Arran Distillery. 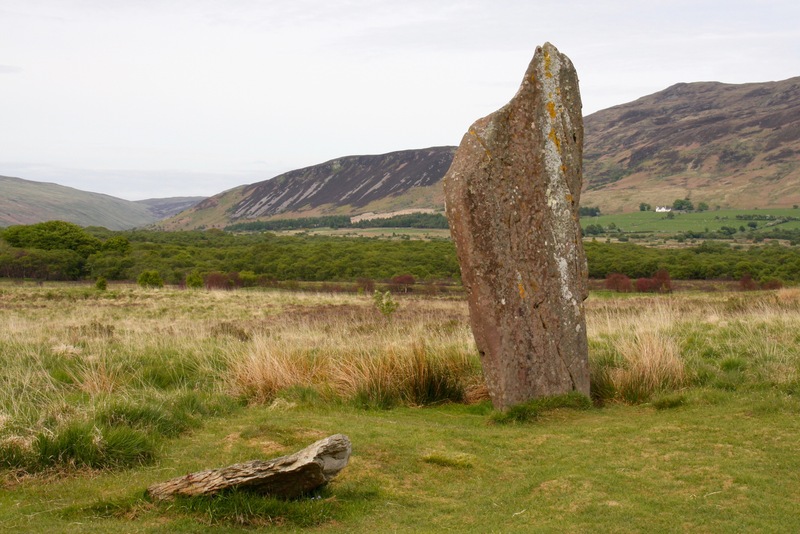 We jumped back in the car and headed south on the coast road towards the one place I was desperate to see: Machrie Moor. 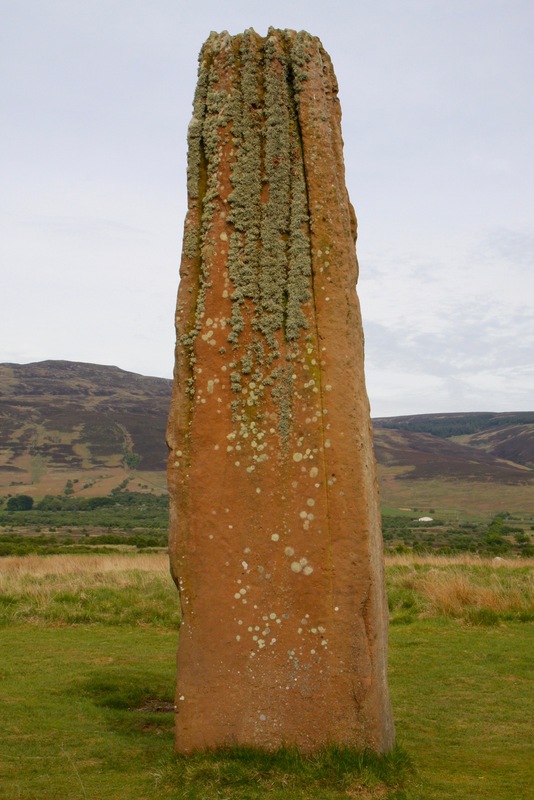 This stretch of moorland is home to numerous prehistoric sites, including several stone circles and towering standing stones. 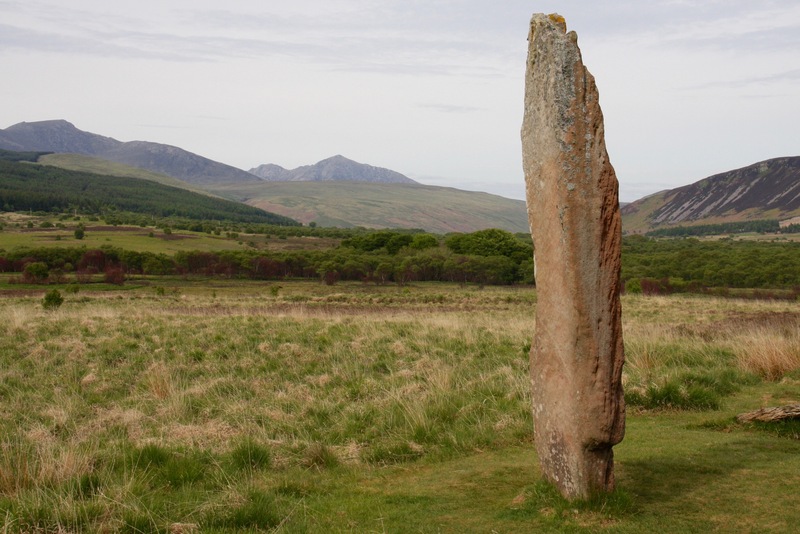 Human history on Arran dates back 8,000 years, and the standing stones and stone circles on Machrie Moor are around 4,000 – 5,000 years old. 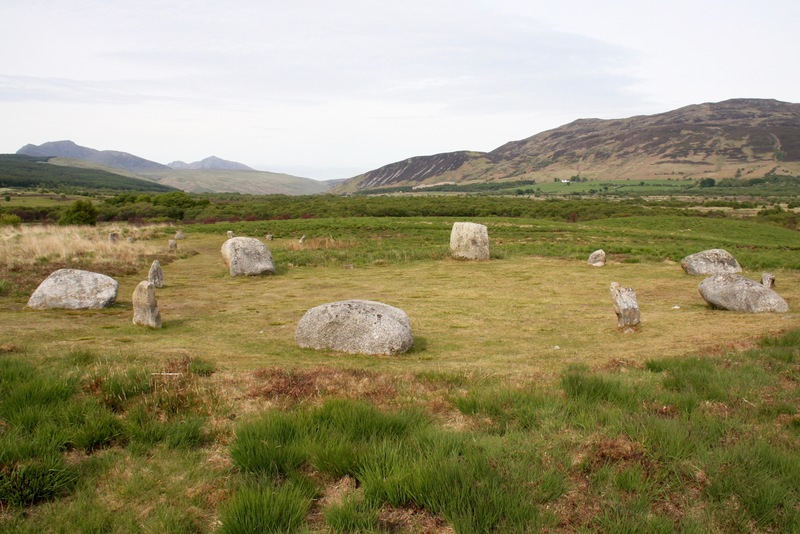 The moor is also home to burial cairns, which haven’t yet been excavated, and the remains of circular huts. 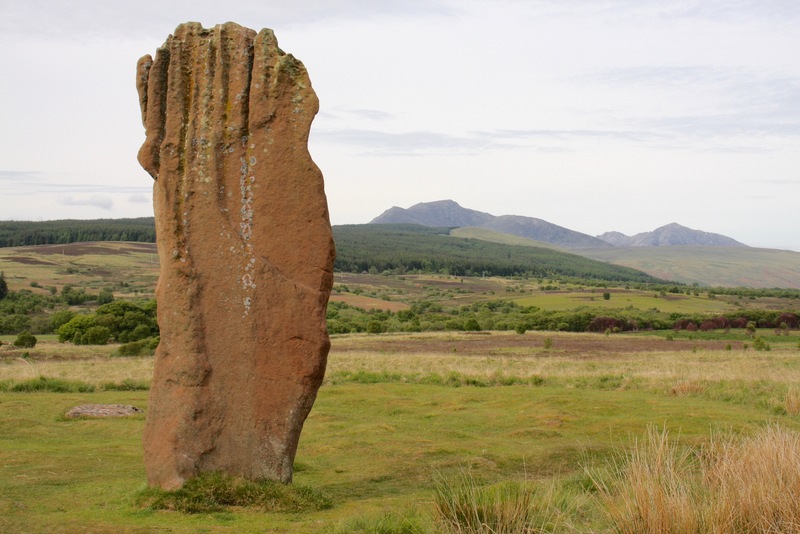 The density of all these sites alone makes the moor one of Scotland’s most important prehistoric sites; the incredible landscapes in which they are set only adds to the sense of awe for modern-day visitors. 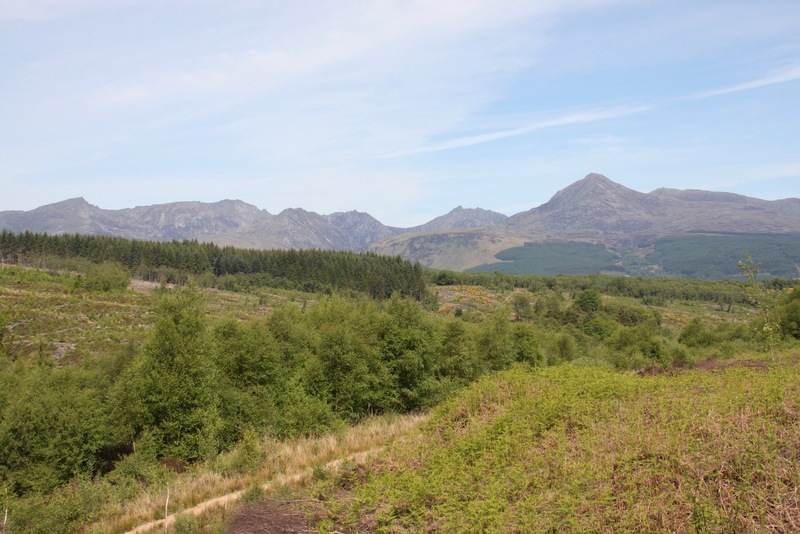 We wandered down a track through scenic countryside making discovery after discovery as we went. 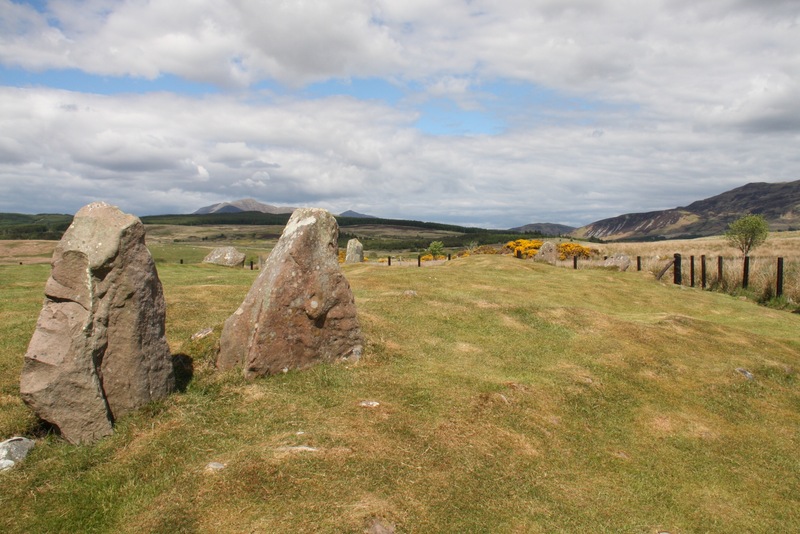 We found small stone circles, but off in the distance were much larger standing stones. 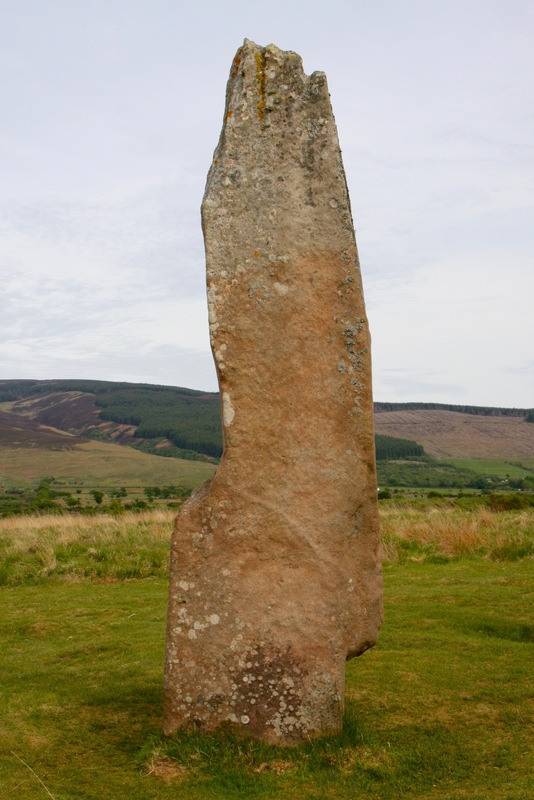 This was clearly a site of great importance for the Neolithic peoples who inhabited the area. 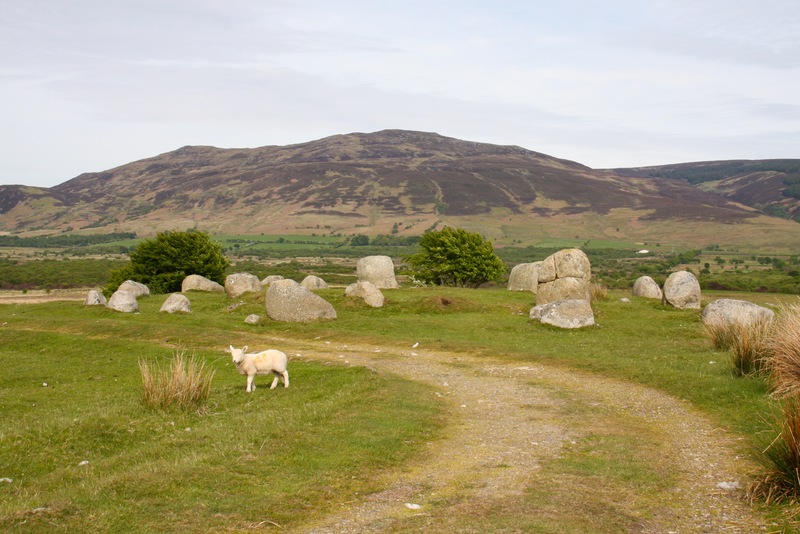 The moor is easily accessed from the main road, requiring only a twenty minute walk. Amazingly, we had the entire place to ourselves. 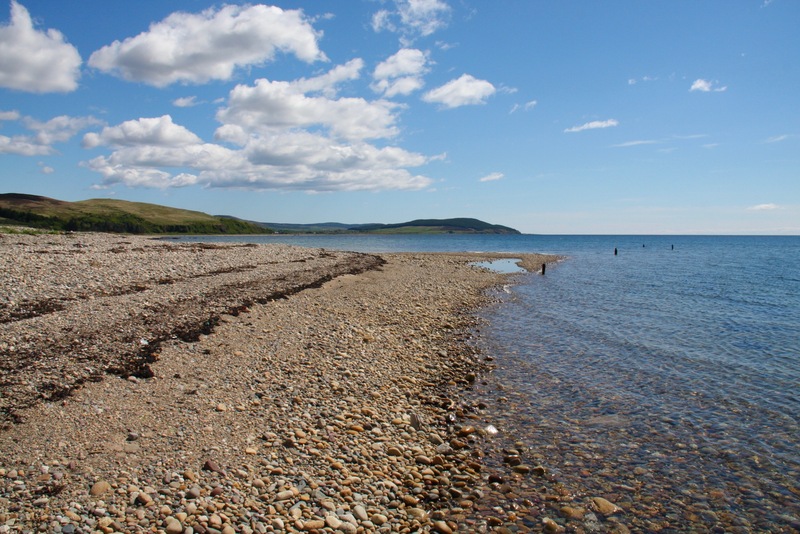 We made our way back to the car park and headed towards the most southerly point of Arran. 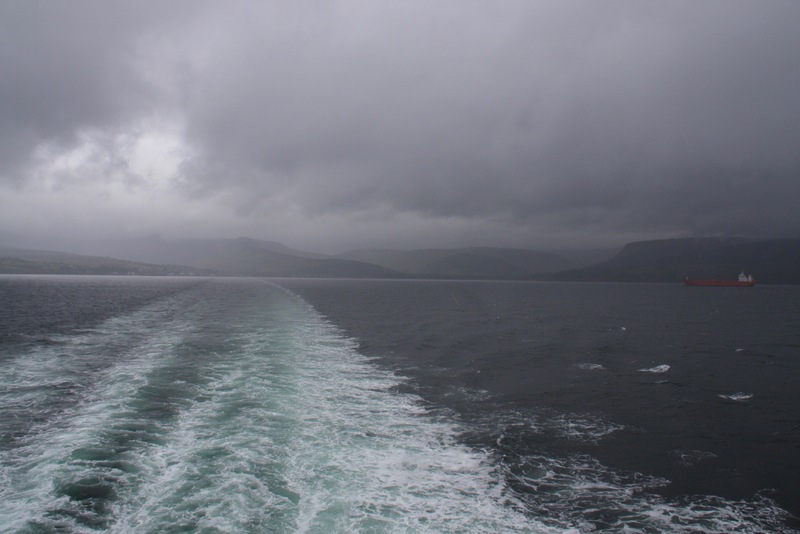 There were incredible views of the coast and ocean as we passed through pretty hamlets. 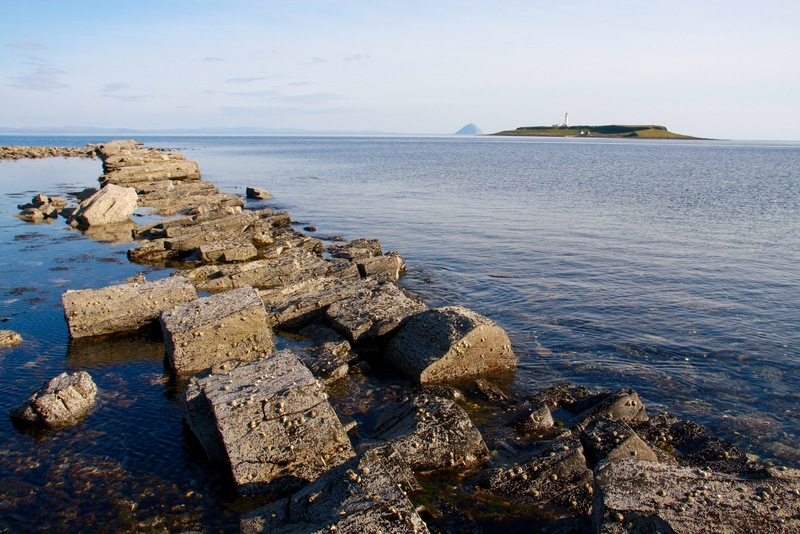 Eventually we stopped in Kildonan where we decided to spend the night. 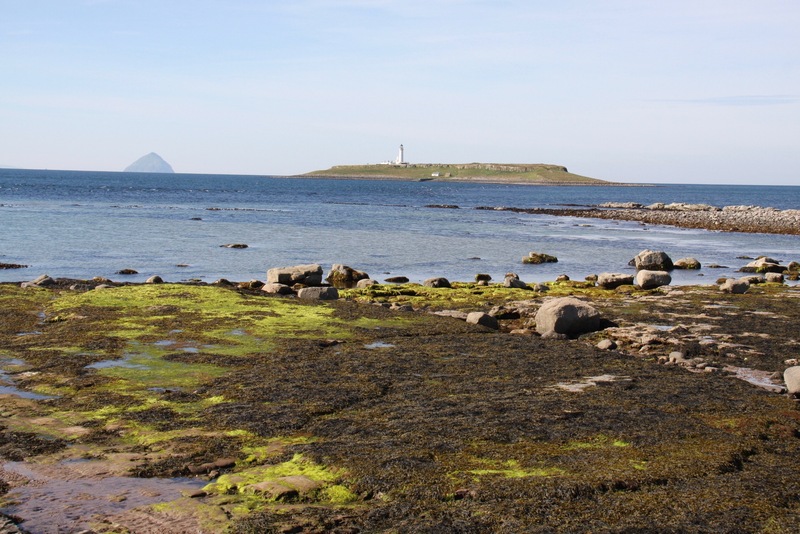 We watched the sun set over the water, with the distinctive islands of Pladda and Ailsa Craig acting as a backdrop. The quality of the evening light was extraordinary.